One of the best kept secrets in the Shoalhaven is the Beecroft Peninsula. Beecroft Peninsula forms the northern entrance to Jervis Bay. The Peninsula is owned by the Department of Defence, but as a general rule of thumb is open for public access on the weekends and school holidays. 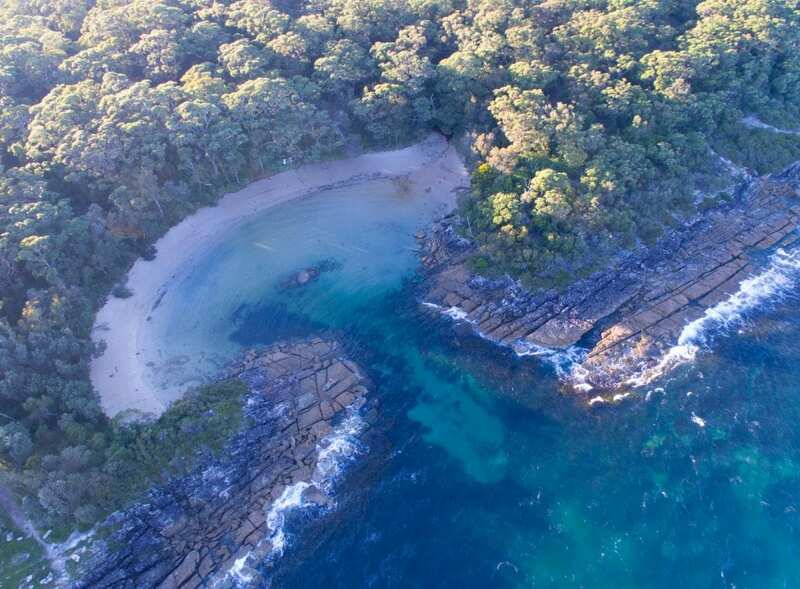 The Peninsula has spectacular sea cliffs, scenic locations, beaches, bush walks and wildlife. Point Perpendicular is a destination for rock climbers, but for those not inclined to hang off the side of a cliff, gives great views over Jervis Bay and whale spotting opportunities from shore. The beaches have the stunning white sand that Jervis Bay is famous for, but without the crowds that some of the other beaches have. You’ve also got great opportunities for bush walking and bird watching throughout the Peninsula. One of the favourites is Honeymoon Bay (pictured right), but other great beaches include Long Beach and Target Beach. If you are looking at fishing, check the details as it is part of the Jervis Bay Marine Park. The entry to the Beecroft Peninsula is near Currarong and about 20 minutes from the Anchor Bay Motel. To get more information on the Peninsula check out Beecroft Weapons Range and Peninsula, and or BOOK NOW to explore the Peninsula on a weekend get-away. December 31, 2017And the winner is….